With Hardik Pandya having been rushed to Australia after his recovery from injury, it seems all but certain that he will be a part of India’s playing XI in the Boxing Day Test at Melbourne. It is no secret that Pandya has been one of the few players who have got the team management’s full backing, especially that of Captain Kohli. There are times when legends of the game such as Michael Holding have cast aspersions about Pandya’s ability as a genuine all-rounder in the Test format. There is definitely some truth in what Holding and some others have said. A genuine all-rounder is one who can get into a playing eleven on the basis of one of his skill sets. That is certainly not the case with Pandya, yet. He cannot make the Indian Test playing XI either as a pure batsman or a bowler. However, one does understand that in a country starved of genuine fast-bowling all-rounders, a player like Pandya is a beacon of hope. Hence, one does not want to be too critical of Kohli giving a rather long rope to him, though a genuine case can be made whether some effort should not be made for identifying and grooming some other fast-bowling all-rounders such as Shivam Dube and Vijay Shankar. There can, of course, be some debate as to whether Pandya has fully recovered. He has not played enough matches to prove his match fitness. In any case, if he plays at Melbourne, he is most likely to replace Hanuma Vihari. 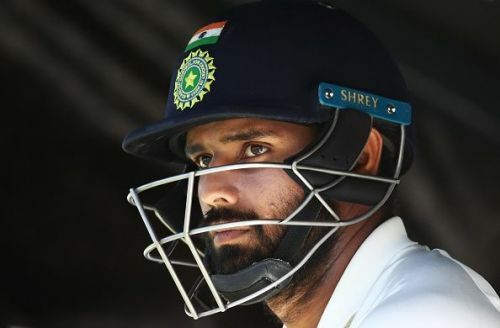 Vihari did the job of an all-rounder at Perth, albeit a spin-bowling one, and it is fair to say that he did his job admirably well. One can even argue that he was probably India’s second best player at Perth, behind batsman Kohli. He may not have made any breath-taking contribution, but his returns of 48 runs in the match where he showed a sound technique to combat Aussie bowlers deserve praise. More praiseworthy is the fact that he bowled a whopping 28 overs in the match with decent control and snarled two wickets. He had been dropped against the Windies after a similar performance in the fifth Test in England. If he is to be dropped again this time, it will be an absolute shame. Even if Kohli wants to play Pandya in the team, he must find a way of accommodating Vihari in the team as well. He may even consider opening with Vihari as Sanjay Manjrekar has suggested. Including Vihari in the playing XI will not only help his cause, but of the team as well.